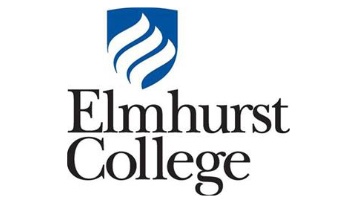 Elmhurst College (www.elmhurst.edu), a private college in suburban Chicago with a strong liberal arts tradition and a commitment to professional preparation, is accepting applications for the position of Vice President for Business and Finance. Reporting to the President, the Vice President for Business and Finance will serve as the Chief Financial Officer of the College and is responsible for the direction of finance, financial aid, human resources, risk management and certain contract service relationships. The selected candidate will work closely and collaboratively with all sectors of the College’s constituencies, providing ongoing communication, education and knowledge of the College’s financial objectives, conditions and strategies while promoting a strong culture of service. The selected candidate will have a master’s degree in a finance-related field or MBA; five years of experience in a similar higher education setting; a strong work ethic and visibility on campus; and the ability to work collegially with Cabinet peers and across the College community. For a more detailed description, please visit www.hyatt-fennell.com. Submit application materials to Cheryl Hyatt at elmhurst@hyatt-fennell.com. Applications include a letter of interest, a current résumé/cv, and contact information for five professional references. Applications will be reviewed as they are received and should be submitted by February 22, 2019 to receive full consideration. All applications and nominations will be considered highly confidential. Elmhurst College is an equal opportunity employer.